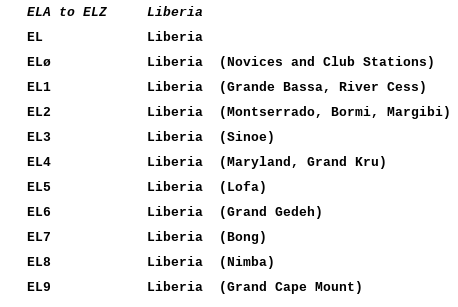 MM0NDX & MM0OKG fly via Amsterdam and Freetown (Sierra Leone) arriving Monrovia late evening. EL2EF, MM0NDX & MM0OKG fly to Sasstown. A meeting & greeting with local villagers & elders will occur with a view of going to Telengbe island that afternoon/evening. Weather/seas determine activity. 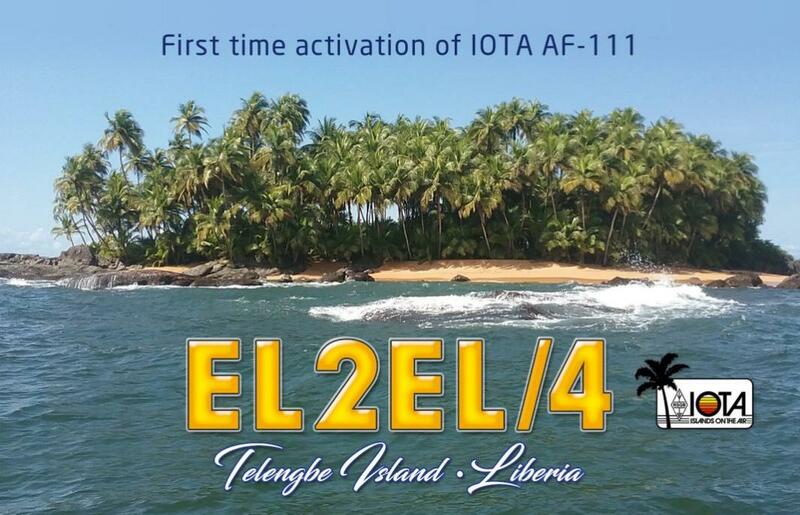 Tentatively, all going well, we will be active from AF-111 as EL2EL/4 during these dates. We will pass info via HF (including when QRT). All fly to Monrovia. Meet with EL2BG, LRAA President. MM0NDX & MM0OKG fly home. *If for some reason / weather / seas we are unable to operate from Telengbe island, we will revert to using EL2JB from the mainland only.